Things change here in Vermont very quickly once we reach May. 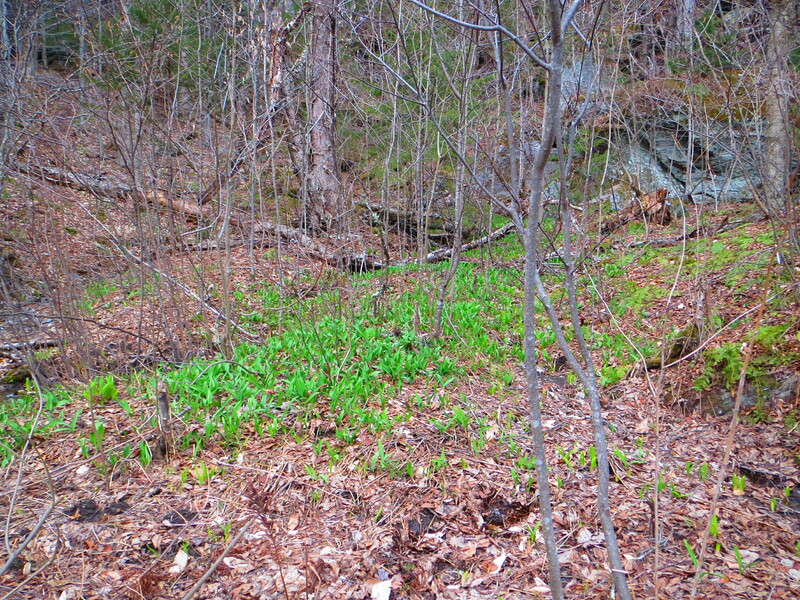 Spring turns from Vermont from mud and maple back to the Green Mountain State. Once the snow completely melts and the grass and trees are able to breathe a bit, different shades of green seem to sprout from the valleys to the mountains all at once. Then the dandelions begin to appear. 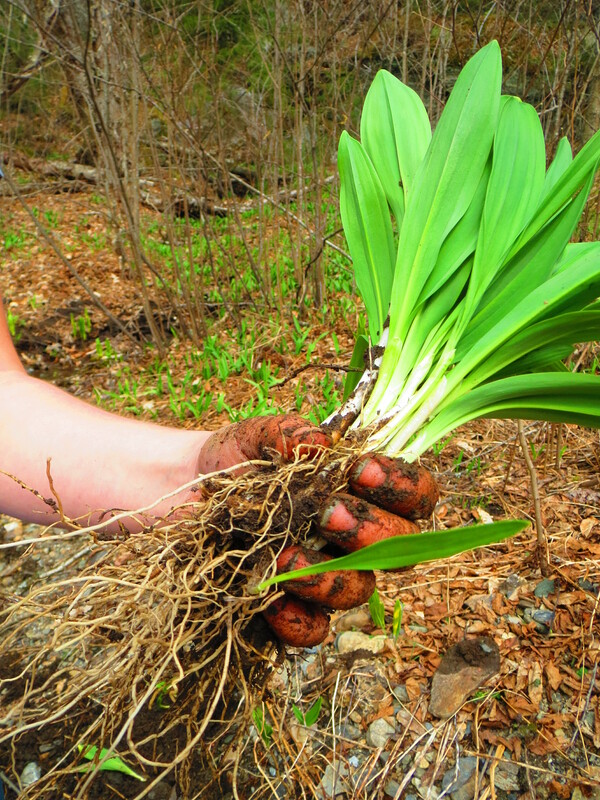 Before we know it, the middle of May brings ramps, fiddleheads, and deep green fields covered in bright yellow dandelions. 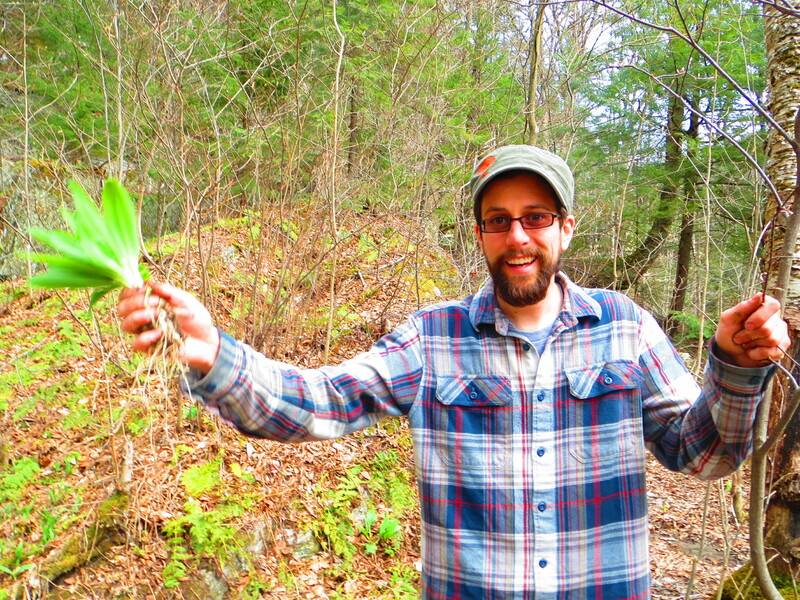 We began May in the Mad River Valley, foraging for wild baby leeks (ramps) and exploring the valley before tourist season hits. We make the trip to the Mad River Valley a couple times a year, and also enjoy driving through it on our way to the Middlebury area. I’ve updated the site with an article on Warren, but the Mad River Valley has many towns, forests, covered bridges, and swimming holes to explore outside of Warren also. 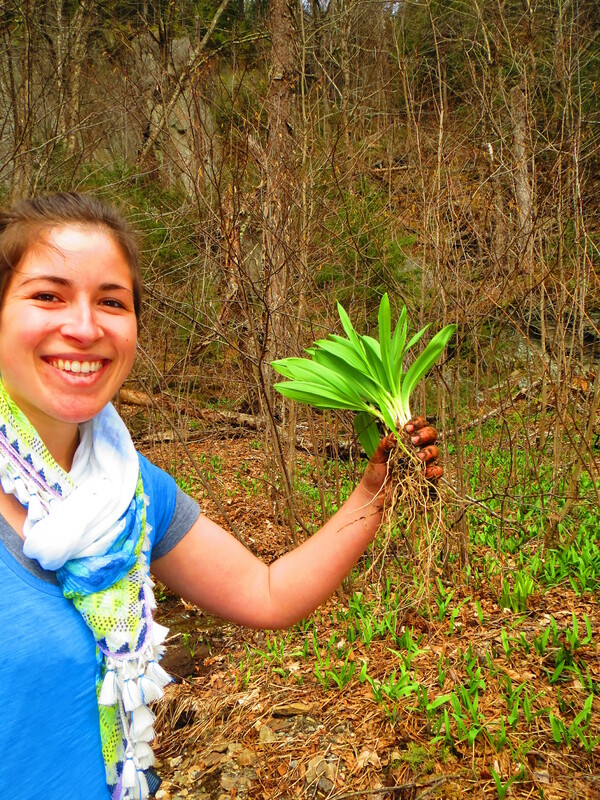 All of those green sprouts are ramps! 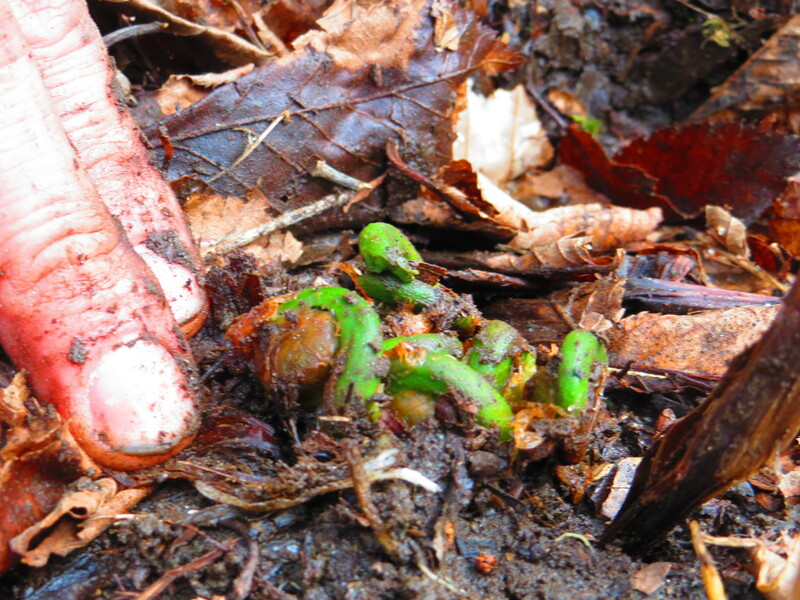 The first spotting of fiddleheads in early May. You have to get your hands dirty! I’m on a constant quest to find small towns that offer all of my favorite indoor indulgences: delicious cuisine, top rate beer and wine, and friendly company. I’m on the lookout for towns I can visit that only require crossing the road to go from one great establishment to another. These towns may be far and few, but I recently found one more to add to my list: Waterbury, Vermont. Waterbury, Vermont is the kind of town that appreciates food and drink. Known best for being the birthplace of the Alchemist Brewery (parents of the top rated beer Heady Topper), Waterbury offers a relaxed tone perfect for indoor amusements. Although the Alchemist Brewery no longer owns a brewpub in town, the Blackback Pub & Flyshop will give you exactly the atmosphere you are looking for. 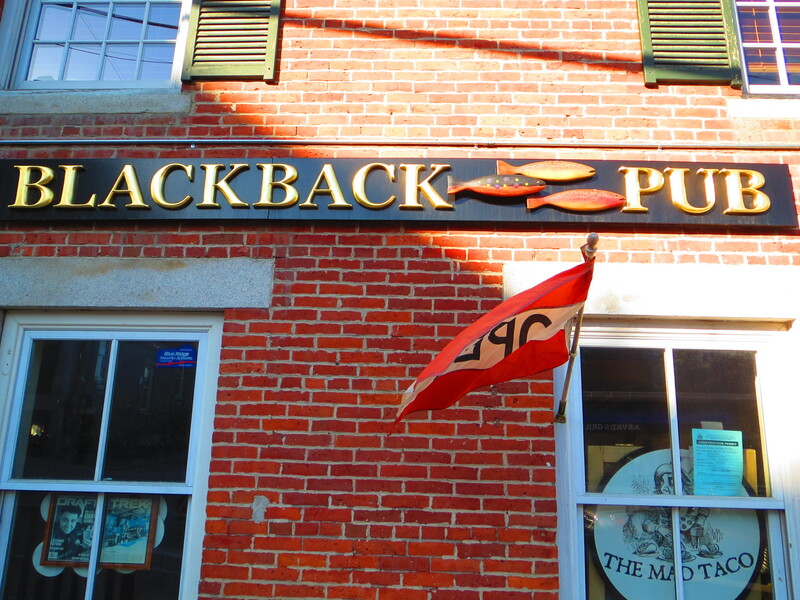 Located on the corner of Main and Stowe Street, Blackback is comprised of two rooms and one bar completely made out of old bowling alley flooring. Although there are a couple of televisions, the entertainment is mostly good conversation. On my last visit to the pub, there were 16 beers on tap with half of them being from local breweries and all of them being top rated craft beer. It didn’t take long for me to get comfortable with a Hill Farmstead beer, and a highly recommended burrito. 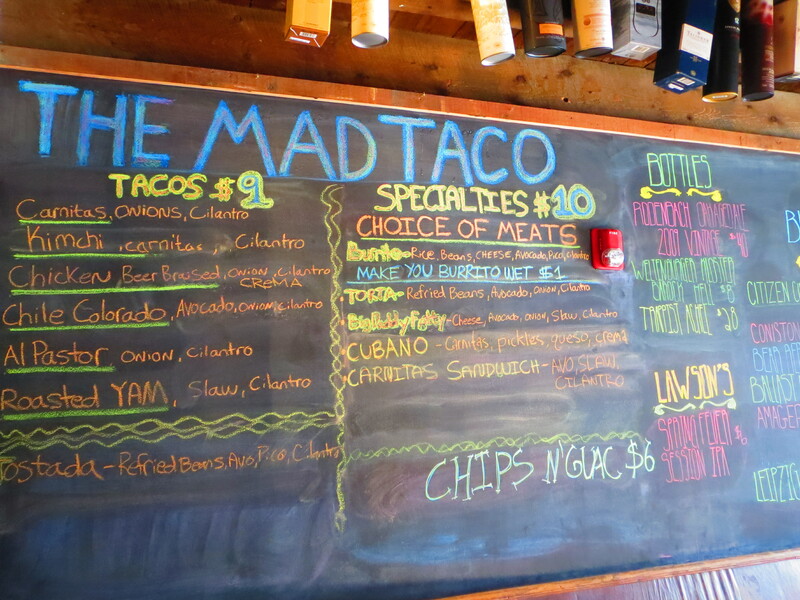 In addition to serving great brews, the Blackback Pub & Flyshop is also home to the Mad Taco, one of the best known burrito spots in Vermont. When you’re ready for a change in scenery, it won’t take long to find your next destination. 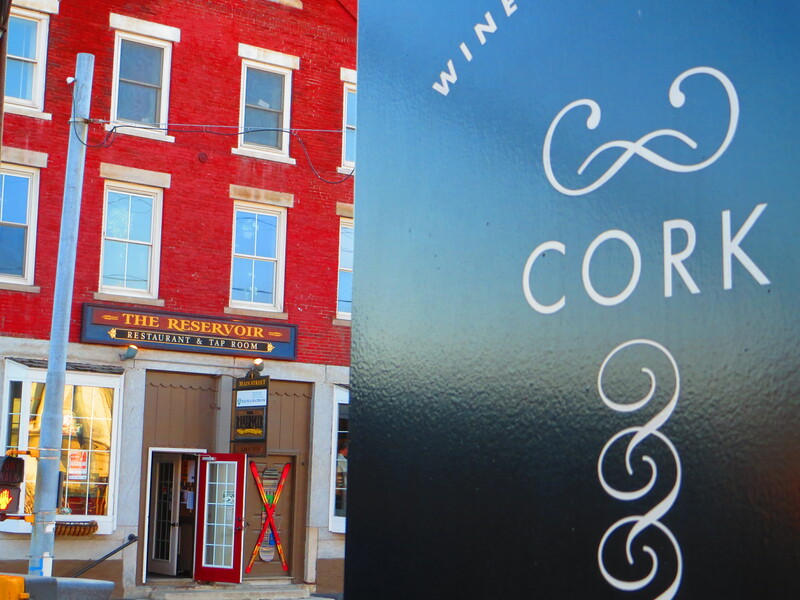 Cork Wine Bar & Market is Blackback’s neighbor and offers a variety of wines, beer, cheese, and other delicacies such as oysters on Wednesdays. 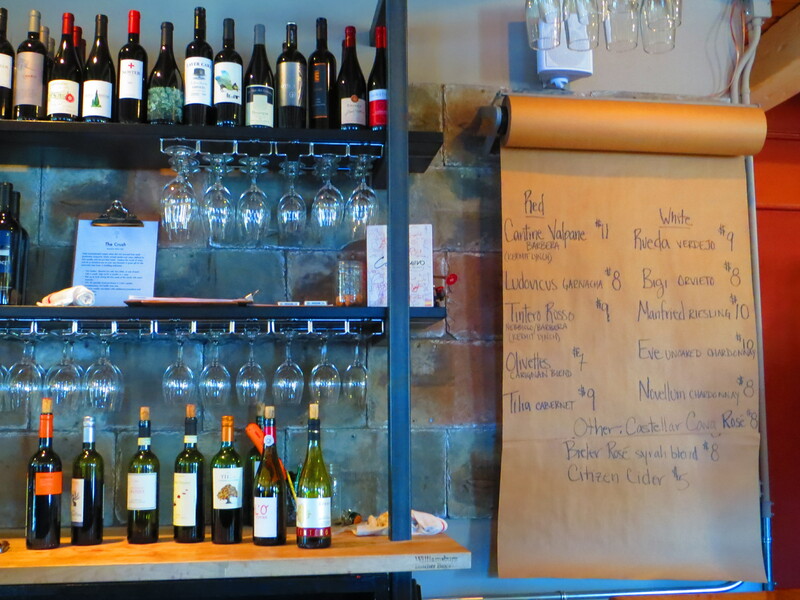 The interior is simple yet gorgeous and there is a wide, carefully selected variety of wine by the bottle for sale. There is no better way to enjoy Vermont than with a glass of local wine, a wedge of local cheese, and a spot on Cork’s patio. Fridays and Saturdays can be quite packed at this local hotspot, but it is well worth it, especially for the live music on Saturdays. If wine isn’t your thing, then head across the street to the Reservoir Restaurant and Tap Room. 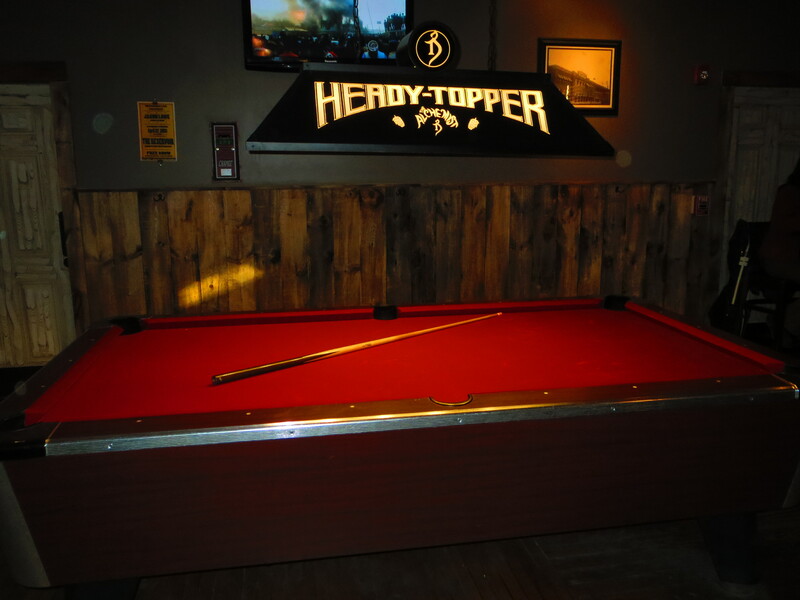 With a whopping 38 draft beers, a full bar, and a pool table, you won’t be disappointed in your options. This place specializes in comfort food, but the outrageous beer list certainly shouldn’t be overlooked. There is always something going on at the Reservoir including frequent beer promotions and live entertainment. You will undoubtedly visit Waterbury, Vermont because it is beer capital of Vermont, however, you are likely to come back because it offers all of the indoor amenities we value and appreciate in one place. To get to Waterbury, follow 89 North two exits past the Montpelier exit. could just miss one of Vermont’s original classic villages. To get there, you must take route 100, a curvy, hilly road that sticks close to Vermont’s rivers and mountain valleys, and is also known as one of the most scenic drives in all of New England. 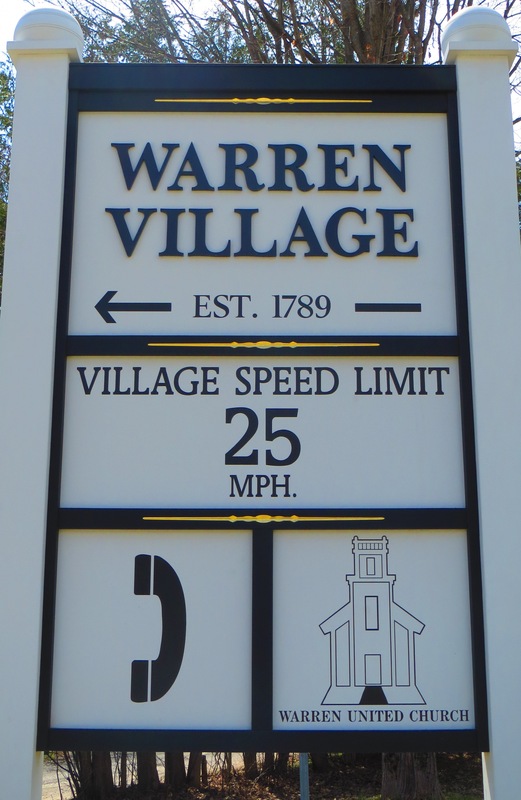 Watch out, the Warren Village sign is your only reminder to change course towards town. Once in town, Warren Village welcomes visitors with a timeless atmosphere and many outdoor recreation opportunities, certain to make you feel like a kid again. Throughout the 19th century, Warren was a lumber and grain milling center. The mills produced everything from wooden bowls to shingles and exported most products to southern New England. You can experience this 19th century history by visiting many of the original town buildings. There are over 75 buildings and sites in all that are a part of the Warren Historic District. Start your tour in the center of Warren Village, on the hill that houses the Warren United Church. The church dates back to 1838 and is a good viewpoint of the rest of town. Be sure to also include: the 1867 schoolhouse (now the Municipal Building and Library), the Village Cemetery of 1826, and the Warren House Hotel (1840) which is now the town’s general store. Although this building has a new purpose, it is still the center of village activity. 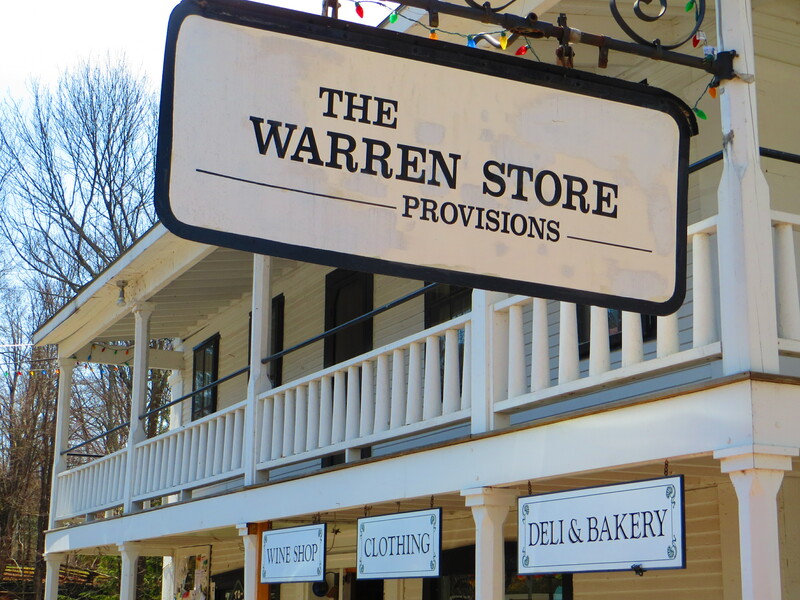 The Warren Store is a Must-Stop for local specialties, exotic clothes, and friendly chatter. After you have enjoyed the classic ambiance of Warren Village’s rich history, you can move on to Warren’s outdoor amusements. On your way out of the village, though, don’t miss Warren’s unusual covered bridge. The Lincoln Gap Bridge, built in 1879-80, is a queenpost type covered bridge; unusual in how the two portals differ, meaning that the entrance extends farther than the exit. To this day, a town ordinance exists that restricts any alterations to the bridge unless two-thirds of the voters approve a change. Don’t forget to stop at Warren’s covered bridge. Make sure to drive through, then park and read about the bridge on the plaques inside. A trip to Warren in the summer is not complete without experiencing its natural wonders. An absolute must is a visit to what the locals know as Warren Falls. 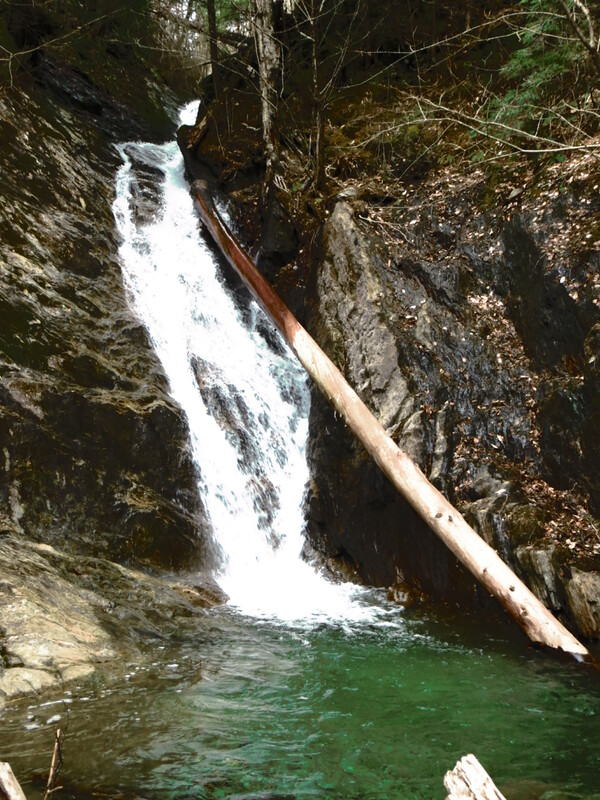 Although somewhat hidden off route 100 south, Warren Falls, is a natural water park for all ages, complete with water slides naturally carved out of boulders and diving platforms high enough to get your adrenaline going. 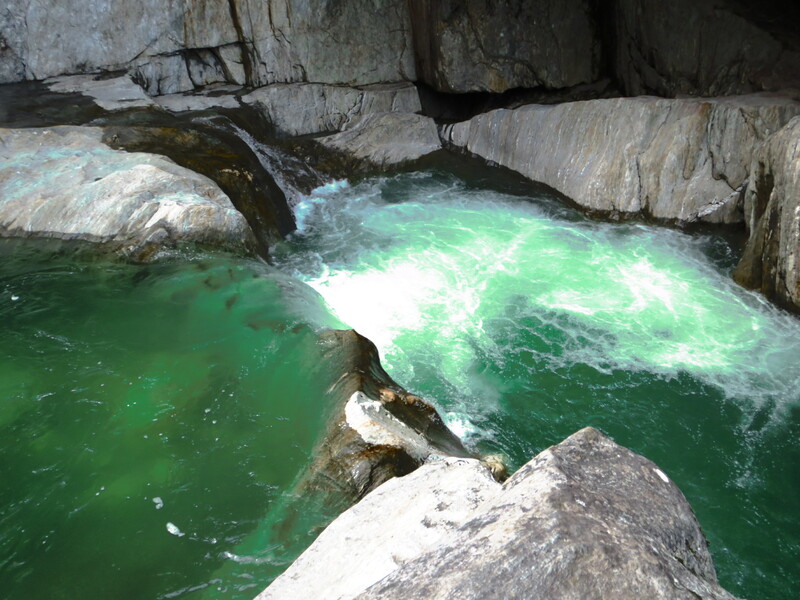 Whether or not you are interested in taking a dip, the cosmic variations of blue and green that exist throughout the falls are sure to impress. Next, drive or bike down route 100 south to Moss Glen Falls. 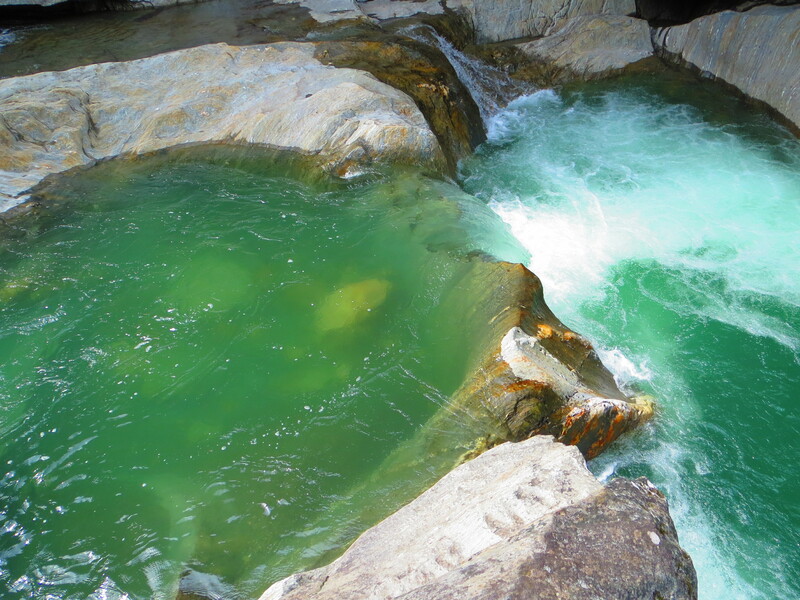 This unique landform is not a swimming hole but is an easy hike to two magnificent, clear blue waterfalls. If the swimming holes of Warren are too off the beaten path for you, take a trip to Blueberry Lake, a warm, pristine lake that was actually once a marsh. The lake is great for swimming, kayaking, and sailboats. Warren is a must stop on any trip to Vermont. It is close to many other Mad River Valley attractions in addition to being less than an hour to Stowe, Montpelier, and even Burlington. 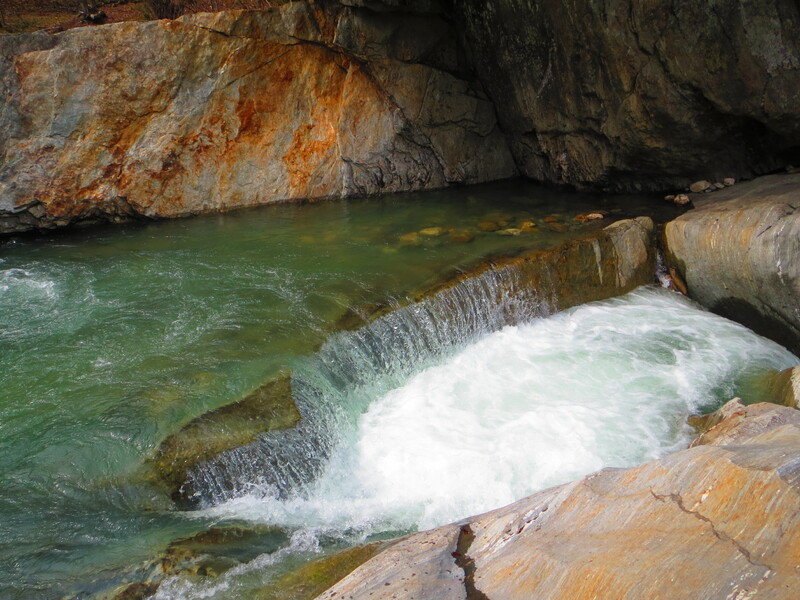 Although summer is the best season to enjoy its many swimming holes, Warren is remarkable during any season. 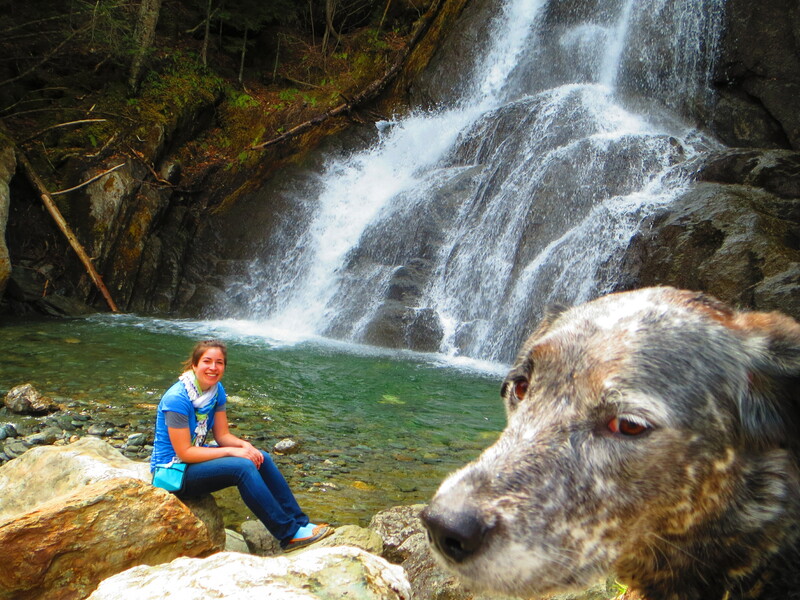 Warren Falls is one of Vermont’s most beautiful swimming holes.